Is California Grenache on a cusp? What does make California pinot noir special? The 2015 ZAP Experience: Is Zinfandel the new noir? "I fought against the bottle," as Leonard Cohen wrote, "but I had to do it drunk"... specializing in wine as a restaurateur, retailer, wine judge, journalist, frequent flyer and mental traveler. But to me, wine is a food like a rose is a rose. So why all the fuss? Currently: Editor-at-Large/Bottom Line Columnist, The SOMM Journal; Contributing Editor, The Tasting Panel. 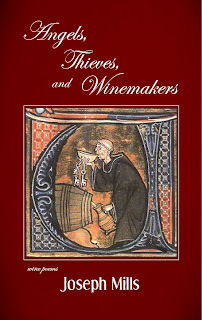 Awards: Sante's Wine & Food Professional of the Year (1998); Restaurant Wine's Wine Marketer of the Year (1992 & 1999); Academy of Wine Communications (commendation) for Excellence in Wine Writing and Encouragement of Higher Industry Standards; Electoral College Member, Vintners Hall of Fame at the Culinary Institute of America, Greystone.